Twitter and Facebook have been a flurry the last few days in the UK with the introduction of “In-depth Articles” into Google’s search results. However this isn’t a new piece of technology it was actually released in the US almost 12 months ago. Our goal is to have people leave our website as quickly as possible. However not every search is for commerce! – This is an important point people use Google to find information, the majority of time this is not to make a purchase so Google’s aim is to allow searches to discover great in-depth articles. To understand a broad topic, sometimes you need more than a quick answer. Our research indicates perhaps 10% of people’s daily information needs fit this category. What is Google Looking for in an In-Depth Article? So firstly ensure that you have marked up your blog / news with ‘Article Markup. If this is done properly you should be able to see the results in Google Webmaster tools. Next we need to use our Google Authorship and link that to the Article. – If your unsure how to do this please read this article by Jeroen van Eck. Then provide information about the organization or publications Logo. This is done again using Schema Mark up. What’s clear is that articles between 2,000 and 5,000 words in length and written by big brands dominate these new search results. So we are talking about “Long Form Content”; you may have changed your posts from 300 words to 800 words because of ‘Panda’ but they are not going to scratch the surface. Some in-depth articles appeared in the middle of search results, but the majority at the bottom. His research suggested 6.9% of queries could contain in-depth articles. One oddity – in-depth article blocks seem to appear on pages with nine organic results, suggesting that the in-depth block itself may be treated as result #10. How age affects the ranking of the articles? 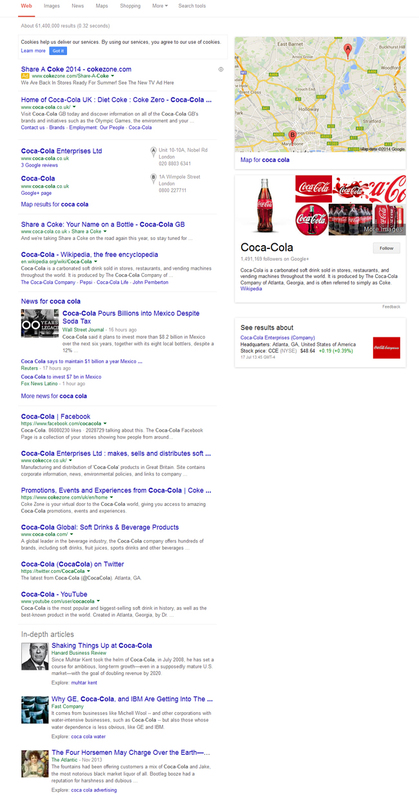 I tend to think that Google are highly motivated in making SERP changes for Monetary value, with this and Google Looking to push Native ads at some point could this be the roll out to analyse success of indepth articles which they can later use for “sponsored stories”?